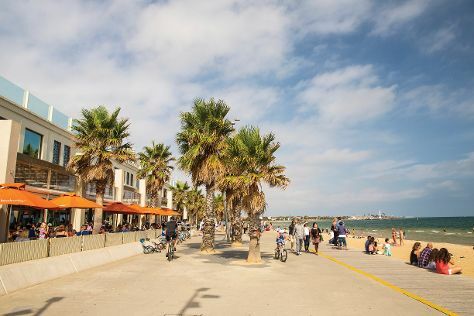 We've included these beaches for you: St. Kilda Beach and Sandridge Beach. Get out of town with these interesting Melbourne side-trips: Woodlands Historic Park (in Greenvale), Werribee Open Range Zoo (in Werribee) and The Great Ocean Road (in Torquay). Dedicate the 26th (Thu) to wine at some of the top wineries in the area. There's much more to do: take in nature's colorful creations at Royal Botanic Gardens, meet the residents at Melbourne Zoo, contemplate the long history of Old Melbourne Gaol, and let your taste buds guide you at a local gastronomic tour. To see more things to do, reviews, where to stay, and tourist information, read our Melbourne online trip itinerary planner . If you are flying in from Malaysia, the closest major airport is Melbourne International Airport. Expect a daytime high around 26°C in November, and nighttime lows around 11°C. Cap off your sightseeing on the 30th (Mon) early enough to travel back home.